The \(\varepsilon\)-complexity of a continuous function is, roughly speaking, the amount of information needed to reconstruct that function within an absolute error \(\varepsilon\). The theory and procedure for estimating \(\varepsilon\)-complexity was introduced by Darkhovsky and Piryatinska1. In previous work, the complexity coefficients have been shown to be useful features for the segmentation and classification of time series2. To improve the estimation of the complexity coefficients by enlarging the set of approximation methods used in the estimation procedure. To explore the relation between the complexity coefficients, the Hölder condition and fractal dimension. 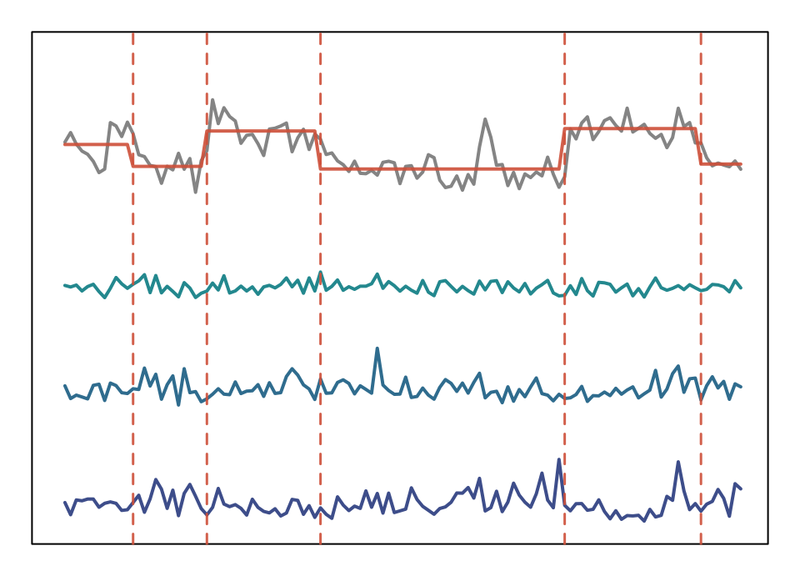 An application of the complexity coefficients to the segmentation and classification of EEG. Along with an overview of the results of each of these analyses we outline the procedure for estimating the complexity coefficients. These poject pages were developed with the help of the workflowr package.